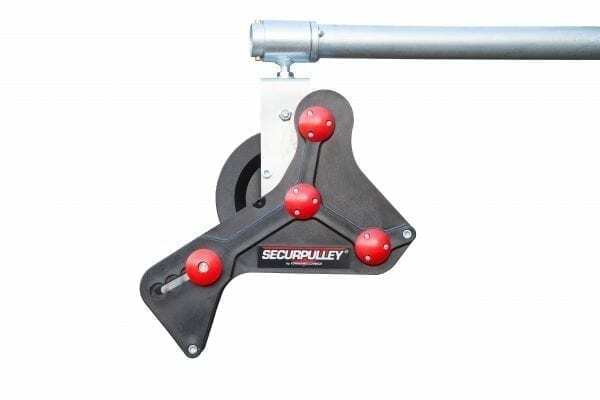 The Securpulley Fixed Model is also known by many as a Straight Arm (Gin Wheel). 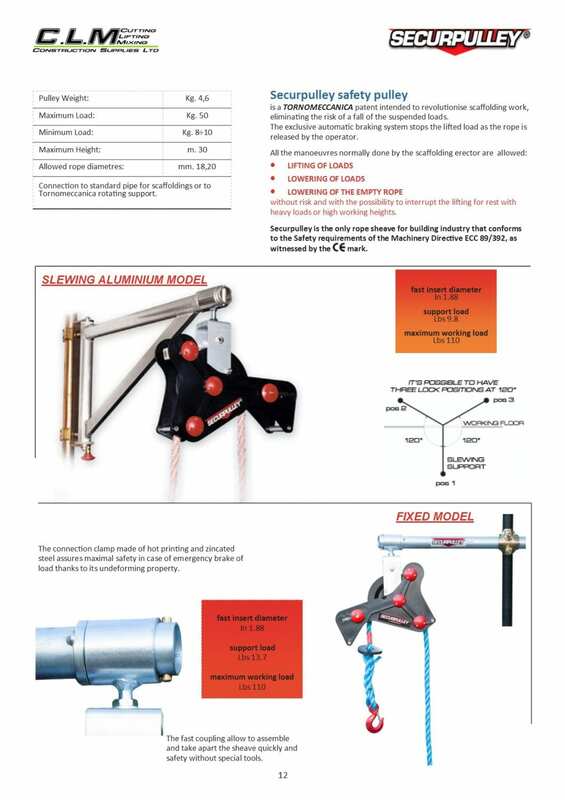 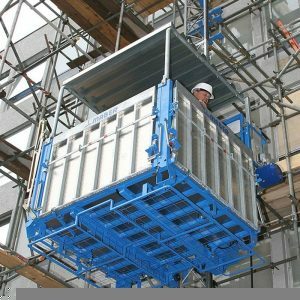 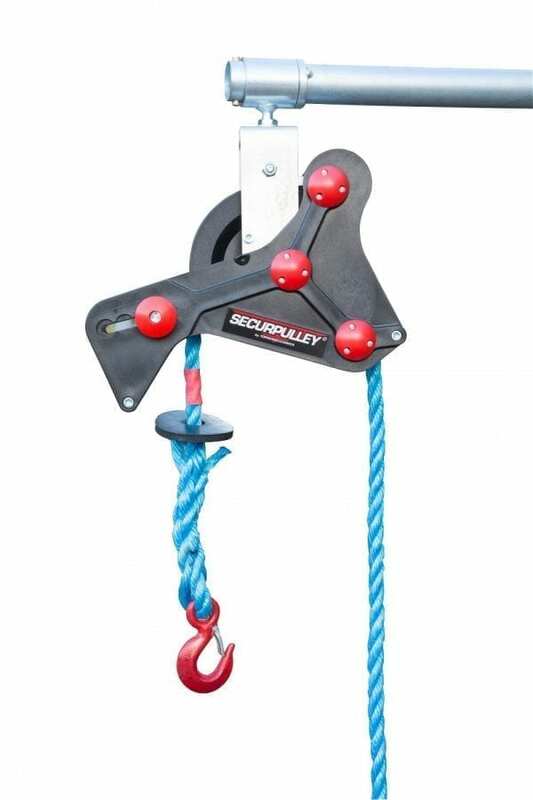 The Securpulley safety pulley is a Tornomeccanica patent intended to revolutionise scaffolding work. 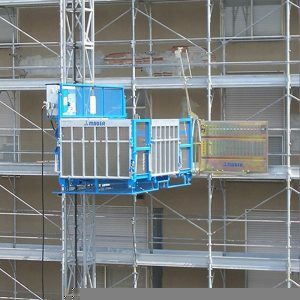 Which in turn eliminates the risk of a fall of the suspended loads. 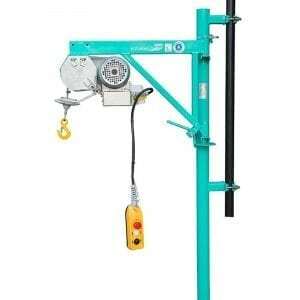 The exclusive automatic breaking system stops the lifted load as the rope is released by the operator.